Knowlton is a hamlet in the civil parish of Woodlands, Dorset, England, UK. 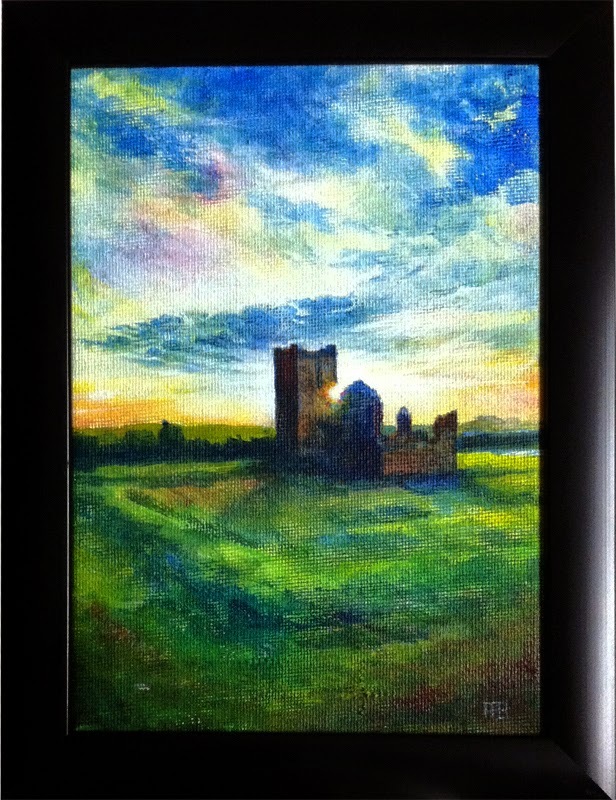 Its most recognizable features are the ruined Norman church built within a Neolithic henge monument. The surrounding area is known as Cranborne Chase an Area of Outstanding Natural Beauty (AONB), the sixth largest in the UK. Knowlton refers to the long gone village, eventually abandoned and ploughed over. 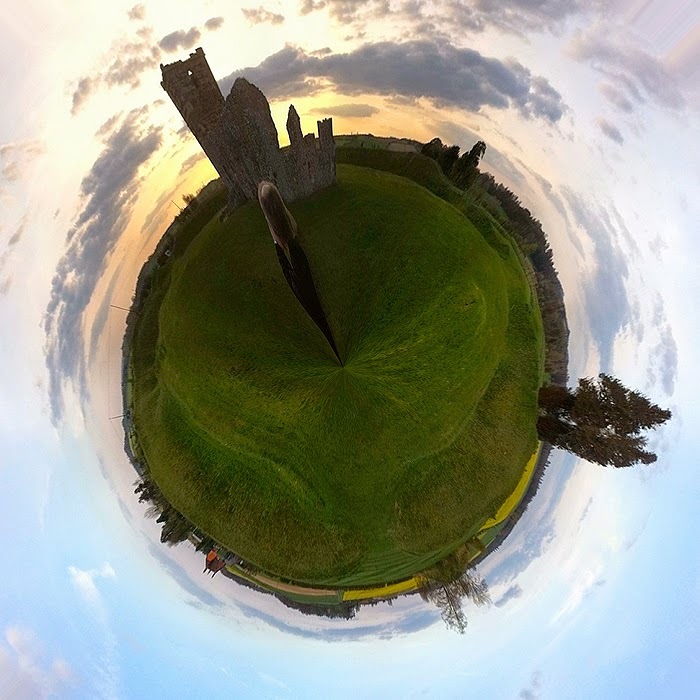 Knowlton church is the 12 century ruin remaining, and Knowlton henge is the Neolithic mounds and ridges surrounding the church and outlying areas, known locally as Knowlton Rings. 3000 and 2000BC. Although believed to be ceremonial in nature the henges would almost certainly have had other uses between the 4000 years that separate the original structures to the building of the Norman Church. 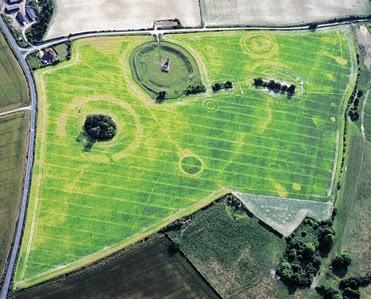 Arial view of knowlton showing neolithic and later structures in the crop and field marks. Early Christian activity at Knowlton is indicated at the site by a mid-to-late Anglo-Saxon inhumation cemetery with a total of 16 graves all aligned east west. 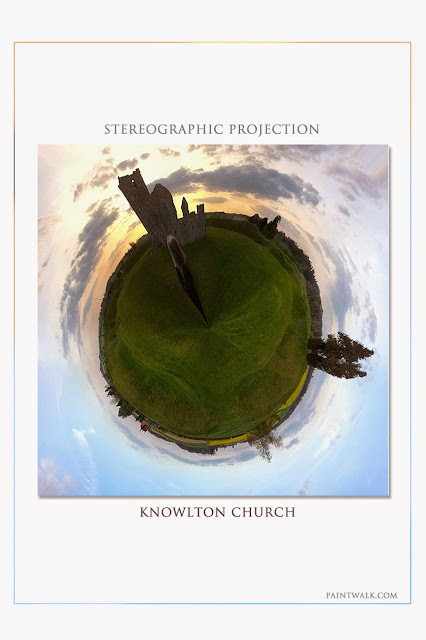 Later recorded in the Domesday Book of 1086–87 as Chenoltone, Knowlton was held by King William; after being previously held by the Saxon King Edward. The Doomsday Book also records two hides of the land of the Count of Mortain, in the time of King Edward. This land paid geld, enough for one plough with one slave and one bordar, a mill paying 12s6d, and was worth 25s. Knowlton Church is the ruined building standing near the centre of the Church Henge. The earliest parts of the building are from the 12th-century. Decline and lack of use led to calls to demolish it in 1659, however a North Aisle was built in1730 until again the church fell into disuse when the roof fell in marking the end of its Christian era. Entrance is free to the site and can be stunning on a beautiful summers evening. 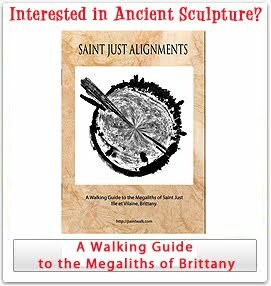 The stillness and age of the place can lead the mind to the glaring but simple symbolism of the transition from Pagan to Christian worship. It can look like thousands have years have passed right in front of your eyes.